5 Types of related post widget for blogger with images and thumbnails. Ways for how to use this gadget from the Manual, Linkwithin, Nrelate, Outbrain and Zemanta widgets for blogger blog. Related posts widget for blogger with images and thumbnails plays an important role in increasing your traffic to your blog. Such widgets help to get clicks on related posts on your blog. 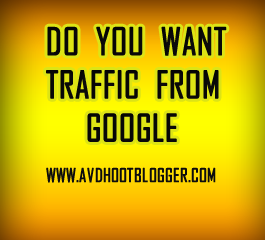 There are lots of posts in your blog that does not get good amount of traffic does not matter they are written good and unique so how to get traffic for those posts which are still unnoticed by readers. Then such widgets like related post widget comes to importance. Many of your posts with the same labels appear in related post widget above comments and readers are more often clicks them and hence you get more traffic for your blogger blog. There are many ways to add related post widget for blogger. First one that I am describing is manual and other ones are third party widgets from this website like Nrelate, Linkwithin, Outbrain and from Zemanta. All of them have their own pros and cons. So the choice is yours which one you would like to add in your blogger blog. Below are the step by step procedure to add related post widget for blogger. Do not edit the code otherwise it would not work all the customization that are required I will explain it to you. So learn how to add related post widget in blogger or blogspot blog. Click on the template and then on edit HTML. Type (CTRL+F) and search this piece of code. Type </head> in search box. Now copy and paste the below code before the </head> Tag. If you want to change the default picture in case one of your post does not have any thumbnails then this will appear. So if you want to change the picture then change the URL in bolder color. If you do not want related post widget to appear on the homepage also then delete the code in blue color. So your widget will only appear in posts only. Now find the following code. If you want to display more than 6 posts then change the number 6 in max-results=6 with the number of posts that you want to display in that widget. Save your blogger Template and you are done. Linkwithin is a good widget fast and stylish for blogger. It shows all related posts on your blog within each post above the comment box. The good thing is it is free to use and installation is free from all types of coding. They automatically add their widget when you are logged into your blogger account just few clicks required. Type of platform choose blogger. Width means how many posts you want. 3 or 5. (3) Nrelate Related Post widget for blogger with thumbnails or images. Nrelate is a popular and reputed website for widgets. They have two types of widgets for you one is most relevant posts and the other one is most popular post widget for blogger blog. 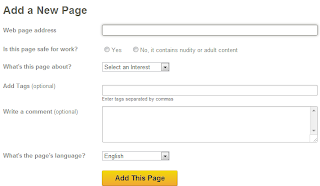 Below is the screenshot how to add a Nrelate related post widget for blogger blog and Wordpress. Outbrain is a standard website. Many of the biggest websites are using its widget. You can understand it's popularity that it has an Alexa rank of 164. It also has some of the best widgets for blogger blog with thumbnails and images . And, one of them is related post widget. You must give a try to their widget. Zemanta claims that they have the best related post widget on the planet. Well you must give a try to check this. They have already 3,00,000 users who are using Zemanta. Zemanta has a page rank of 13,000 worldwide. As far as installation is concerned. Installation is quite simple just like linkwithin. You just have to sign up and all the remaining things they will do it. So try this one also. Below is the screenshot how does it look like. So here I have described 5 types of related post widget for blogger blog with thumbnails and images using Nrelate, Outbrain, Zemanta, linkwithin and the manual one. Now the choice is yours which one you want to choose. If you liked the post please comment and feel free to share. 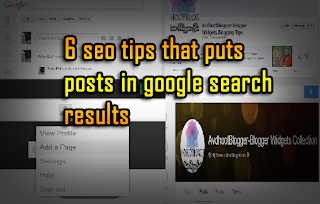 6 SEO Tips and Blogging Tips that puts new blogger posts into Google search results. It enforces search engine to index your blog faster. Social bookmarking sites that give instant traffic to new blogger post, blogging and SEO tips for new blogger post from Google index and to appear in search results. Social bookmarking has very much importance if you are interested in getting your post in Google search results and for fast Google indexing. If you do social bookmarking effectively your new post can appear in Google search results within minutes and hence it will be indexed faster and get organic search results. So here I am writing those blogging tips and SEO tips that put me in Google search results and also all of my posts get indexed by Google just after publishing. If one of your post gets a good number of Facebook likes and plus one then you do not need to create backlinks for that post because that post will instantly appear in Google search results. And if people know just about Google plus and Facebook that give them traffic but there are other sites as well that can increase your social bookmarking weighted and put you in search results forever. So there are two benefits first you get backlinks from those high PR sites and second is your post appear in Google search results. Below I am listing all those social bookmarking sites with their benefits that will put your new blogger post in Google search results. Search engines and Google bots treat differently to those posts that gets lots of sharing in social bookmarking sites so take advantage of such sites. Google plus is the best way to get indexed your post faster by Google. Just after publishing your new post go to Google plus and start sharing your new post not only in your profile but in all trends so that your new blogger post gets more exposure and plus one. One of my post named as Google plus pop up box widget for blogger is on the first page of Google just because of plus ones. I got too many plus one for that post and the result was it was on the first page of Google for some highly competitive keywords. So give special attention to Google plus . Another blogging tips that I would like to mention here about Google plus is that always share your post in Google trends. 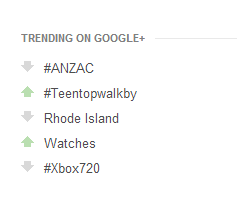 Google trends are like discussion area where people like to share their post and discuss about a particular subject. 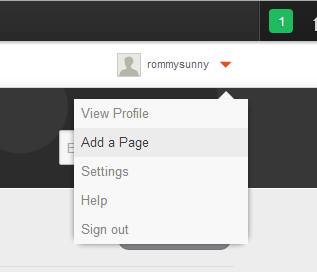 You will see on the right hand side of your Google plus profile. Just click on one of the trends and share your post their automatically all the post that you share in Google trends also appear in your profile. So if people find it interesting they will plus one of your post and hence it increases search engine visibility of your new blogger post. Try to share your new blogger post in your Facebook profile and your Facebook fan page. So that it gets more Facebook likes and if your new blogger post a good number of Facebook likes and sharing then that a new post will appear in Google search engine results. And all are indexed because the speed of updating of Stumbleupon is too fast and that is why you must take advantage of it. Go to Stumbleupon after publishing the new article and submit your article links at relevant category and see in 10 min you will get at least 100 page views. I also do this for all of my posts. Well if you have not created yet your fan pages then do it now. Business fan pages remain in more touch with the readers than your website because of common platform like Facebook and Google plus. So when you publish your post then do submit them on your fan pages also so the readers could know about it and again visit your post. You can create such pages from here. Use all above social media sharing and social bookmarking sites effectively and your post will be on the first page of Google if done effectively. Feel free to share and comment if you like the post. Blogging tips to center Google Adsense ads between blog post and how to insert Google Adsense ads between post. Google Adsense ads look so weird when inserted between a blog post because they align either left or right. So here are some blogging tips to center Adsense ads. 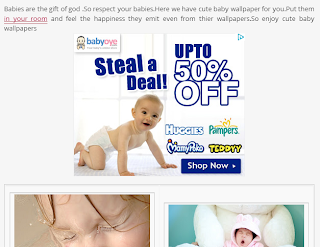 And also great tips to insert Google Adsense ads between posts. There is no need of html escape tools or html encoder to do this job. Just a few smart html code would insert Adsense ads between posts and also center them. As we all know you can earn money with Google Adsense ads only when you smartly put Google Adsense ads in proper place some say your CTR will increase when you put Google Adsense ads below the post title and below navigation menu bar. But it happens when you get clicks. You need to place Google Adsense ads at that place where your readers are most likely to stop or say where you share the key knowledge of your post. So chances are higher to get clicked and do not worry about CTR and other things because all these depends on the keywords that you put in your blog post. So questions is what are those blogging tips for how to insert Google Adsense ads between post and also how to center Google Adsense ads. Below I would be describing the tips to do that. As you can see you have to put your Adsense ads raw code between the center tag and then close the center tag. And now you are ready to insert it. Now paste this code anywhere between the blog post and Adsense ads will appear where you want. But to put it in blogger follow the below steps. Click on write a post and then go to edit html section. And then put your code over there where ever you want. Here we are in the edit html mode and have inserted the code between post. And then publish and you are done. King of Black navigation menu bar widget for blogger. Black nav bar for blogger very beautiful and with drop down submenu one of the most beautiful widgets for blogspot blogs. Black navigation menu bar widget for blogger. Black is a very professional color and this is the reason it is most widely used in all major blogs and successful blog and websites. This black navigation menu bar widget is based on pure CSS and HTML. And hence compatible with all websites and blogs. Compatible to work on all platforms like Blogger, Wordpress and all other customized websites. Along with it is completely customizable. You can edit its text and even color as well. 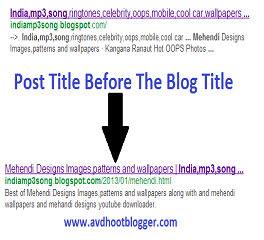 So below is the method and code to add this black navigation menu bar widget to blogger and other websites. Attitude navigation menu bar widget for blogger. Dashed rich navigation menu bar widget for blogger. Professional navigation menu bar widget for blogger. Fashion style navigation menu bar widget for blogger. Cute yellow navigation menu bar widget for blogger. I hope you liked the black navigation menu bar widget for blogger. Feel free to comment and share.